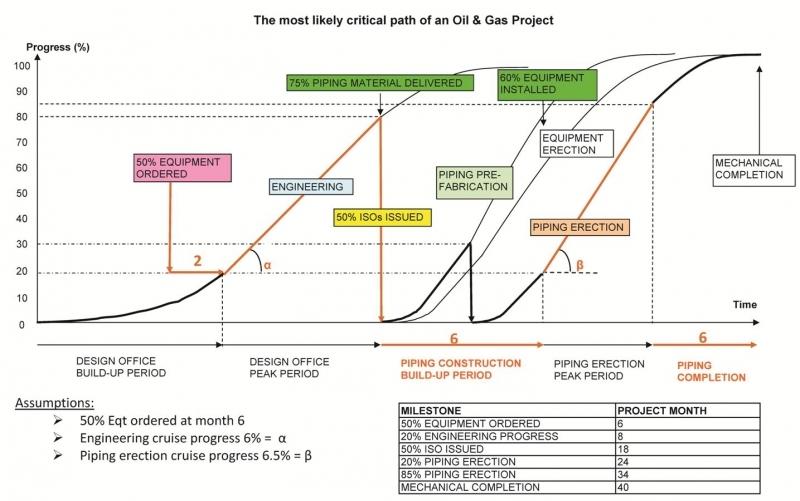 In order to better understand the challenges faced by Engineering to match the construction schedule, it is worth knowing that the critical path of an oil & gas facilities project is that of its pipework. Piping is indeed by far the most time consuming activity at the job Site. Piping comes in small individual items: straight lengths, are 6 or 12 meter long, elbows, flanges etc. They have to be welded together at the job Site. Some pre-fabrication at a Site workshop will be done to save time. Pre-fabricated partsare called “spools”. Thanks to pre-fabrication, 2/3 of the welds will be done in the workshop and 1/3 in-situ. This will save much time as in-situ (field) welds take twice a much time to do as shop welds. Anyway, the time required to do a weld, even when done at the workshop, is already long enough: a full day for one welder for a 24” weld. Once fabricated, the spools will be blasted, primed, brought to the erection location, erected and fitted-up. Field welds will be carried out, followed by Non-destructive examinations and post weld heat treatment, if any. Supports also have to be installed and the line pressure tested, flushed, re-instatement done, field joints painted, tracing installed, if any, as well as insulation, if any. All these completion works take a lot of time. In fact, contrary to mechanical equipment which are brought already fabricated and tested to Site, piping has to be fabricated, inspected and tested from scratch. This is why pipe-work is the most likely critical path of any facilities project. The start date and duration of these activities determine the overall duration of the Project. Statistical information is available in contractors’ data bases which allows prediction according to historical data for similar size and type (refining/gas etc.) project. First, the start date of piping pre-fabrication is determined. • 75% of the materials of all types (straight lengths, fittings, all grades) must have been delivered at Site. 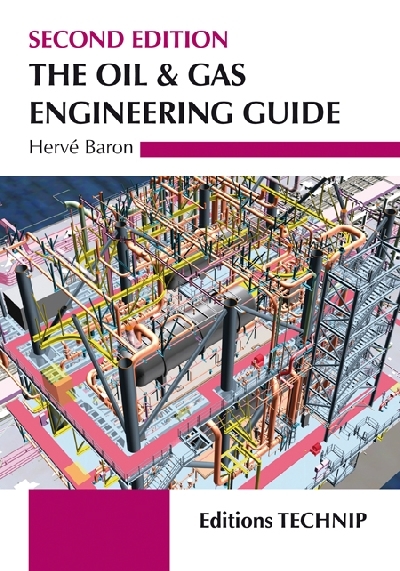 Statistics show that the 50% of piping isometrics issued mark matches an overall engineering progress of about 80%. Engineering progress has proved to be linear from 20 to 80%, with a slope which depends on the number of manhours and ranges from 6 to 9%/month. 20% engineering progress is known to be achieved 2 months after 50% equipment have been ordered, which itself usually happens 6 months after the EPC Contract start date (provided the FEED is of good quality). Having this in mind, you can determine the 50% isometric issue date. For a large job, for instance, with a 6% engineering monthly progress at cruising speed, it will be 6+2+(80-20)/6 = 18 months. Experience shows that 6 months will elapse between the start of pre-fabrication and the time when erection will reach its cruising speed, corresponding to 20% progress (in other words, 20% weight of pipe-work erected). Erection speed will reach an upper limit on every job, that will depend on the available space on the ground, restricting the number of personnel and cranes. This cruising speed will typically be 6% by month on a large job. This means that progressing from 20 to 85% will take (85-20)/6 = 11 months. Finally, once erection has reached the 85% progress mark, its progress will stop being linear and will become asymptotic. Piping completion works, from 85% erection progress to mechanical completion, i.e. all pipe-work installed, supported, tested, insulated, is best modelled as a constant, typically 6 months on a large job. Piping 50% Isos (18 months) + 6 months from start pre-fab to erection cruising + 11 months erection up to 85% + 6 months completion = 41 months. This is indeed the typical duration of a large size EPC. Note that the above modelling is made at the ouset of the project, to determine its overall duration and can also be made any time during the project to determine its remaining duration. In the later case, accurate estimate of quantities (the 100%) is essential. - in order to have 75% of piping materials delivered at site on month 18, orders for all types of piping materials will have to be placed in due time, taking into account the lead time of each type of materials (exotics etc.). his will translate into requirements for engineering to issue the corresponding Piping Material Take-Off. - Piping pre-fabrication does not proceed directly with the isometric drawings issued by Engineering but after some processing of these drawings, by the construction contractor, called “spooling” and resulting in the issue of a “shop isometric”. - Effective installation of piping will require availability of pipe supports. The latter are very numerous. Their standardization and timely mass production must be properly planned in order to allow concurrent installation with that of the pipe-work. 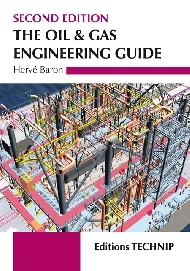 The chapter on facilities layout was mainly applicable to land facilities. The Layout of Off-Shore facilities, although following the same principles, differs in a number of ways as described below. Safety considerations remain the main driver: high risk units are segregated from manned areas, such as living quarters and control rooms, and vital units, such as electric power generation. This is usually achieved by locating the utility units between the two. Provision of redundant escape ways throughout the facilities, to ensure safe escape of personnel in an emergency, becomes more demanding on the layout, due to the confined environment. Making provision the safe evacuation of the personnel is purely Off-Shore specific. It will entail selection of a suitable muster area, in a safe location, and provision of evacuation vessels, such as a life boats. As personnel will remain exposed to the hazard until they have evacuated the facilities, protection of the muster area against fire and explosion must be provided, e.g., by means of blast/fire wall etc. For what regards the position of the various equipment, the same principles are applied as in the case of land facilities, such as locating high risks units away from each other. Similarly, critical equipment such as electrical generators, fire water pumps, control and technical rooms, turbine and HVAC air inlet, flame heaters are located away and upwind of potential sources of leak (compressors etc.). The main difference in terms of Equipment layout between Off-Shore and On-Shore facilities is that the fixed minimum separation distances that were applied On-Shore between equipment as per codes, e.g. 30 feet between two compressors, are not applied Off-Shore. Instead, the distances between equipment of Off-Shore facilities are minimized, to the space strictly required for access/escape ways and for maintenance. One may wonder how, in such case, is escalation of an incident from on equipment to the other avoided, as it were, in On-Shore plants, by means of separation distance, with which overpressure created by an explosion, or radiation intensity from a fire, rapidly decreases. A different, more refined, approach is required and applied Off-Shore. For what concerns explosion, first, the most likely explosion scenarios are identified and the blast pressures calculated. Critical equipment and their supports are then designed to resist such blast pressures. Blast studies might also result into the prescription of a blast wall. The blast calculations entail modelling the facility. Such model does not only extend to equipment, structure but also the level of confinement of the environment, including that created the pipe-work, cable trays etc… Indeed, the latter determines whether a gas cloud resulting from a leak would safely dilute or could accumulate and reach the explosive limit. Reducing congestion is an important factor of safety of Off-Shore facilities. It will allow open air ventilation and dissipation of flammable or toxic vapours. Escalation of fires in its turn, is prevented by extensive use of Passive Fire Protection coating, applied to the main structure, to critical equipment and their supports. A special attention is also given to vital facilities, such as shutdown valves that serve to isolate the platform from the connected pipelines. In an emergency, such as a major leak on the facilities leading to a fire, it is essential to isolate the latter from the connected pipelines to prevent fuelling the fire with the inventory of contained in those pipelines. Emergency isolation valves are located as far as possible from hazards, such as on the lowest deck, are of a fire proof design, provided suitable fire protection etc. Due to the congested deck environment, and uneasy access to equipment, proper review of how its maintenance, in particular that of requiring the dismantling of large and heavy parts (rotating machinery) must be done as part of the Handling Study. Free space must be provided overhead of equipment, for hoisting the parts, and for their travel up to the nearby trolley/crane pick-up area. Equipment subject to frequent maintenance, such as for example heat exchangers in severe service (sea water etc. ), will be located at a location easily accessible by the crane e.g. upper deck. The crane itself will be located at a strategic location within reach of both lay down areas and supply boats ferrying dismantled and spare parts. 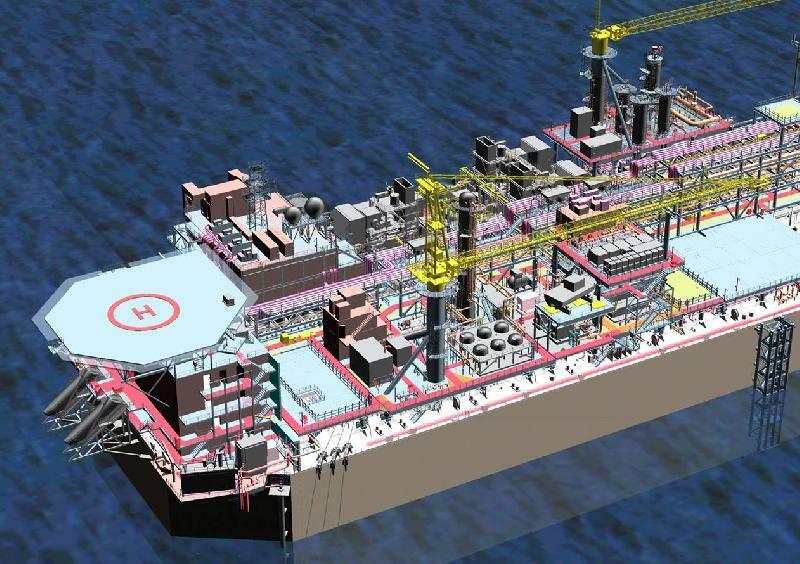 Other factors come into play into Off-Shore equipment layout, such as relative process elevations between equipment, such as a compressor and its suction scrubber, location of main equipment on the primary structure members, method (lift/slotting) and timing of installation of large equipment in the main structure etc.